The 22nd Annual Miss Georgia Marble Pageant was hosted by Miss Pickens County & Miss Northeast Georgia. 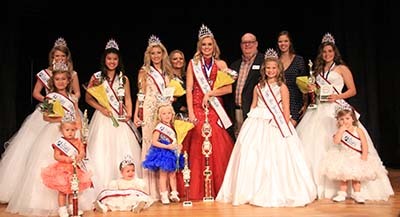 The pageant, in conjunction with the Georgia Marble Festival the first weekend in October, was held on September 17, 2017 at Pickens High School. Video of awards announcements to the left. For high resolution images, please email the photo number and event to info@knowpickens.com.